Access control for any key lock, anywhere. 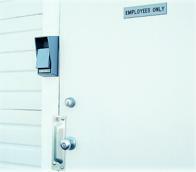 The Accessor 4000 turns any existing key lock into a complete access control system. Whether you need to monitor access to a building, specific office, or a fenced site, the Accessor offers complete control over who enters, and when. Each self-contained key box can be programmed with up to 1,000 access codes. With the easy to use ACE software, you have complete access control with scheduled entry times and up to 5 levels of access. Each entry is retained in the audit log for easy retrieval of all user information. For 2001 we've added the ability to use the Accessor 4000 in stand alone mode; no need to connect it to a computer...ever. You can now add and delete users right from the keypad. To make full use of all the Accessor 4000 features, including entry logging, scheduled access and temporary users, you'll still want ACE, our easy to use, free software for the PC. The self-contained, battery operated unit requires no wiring, and is easily installed next to any door or lock. 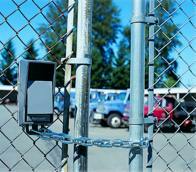 Several models are available for mounting on chain link fences including our unique Gate/Fence model that replaces the padlock on fences secured with chains. Weather and vandal resistant housings insure security and make the Accessor 4000 perfect for either indoor or outdoor applications. With the Accessor 4000, you control access to secured areas, establish entry schedules, and keep complete records of all users, all without the hassle of lost keys or rekeying.